The NHS' 69th Birthday! 5th July 2017. Our NHS is the most valued institution in the country. It has been put under unprecedented pressure by an uncaring government which, after the general election, has NO mandate for programmes of underfunding, cuts, closures, privatisation and a year-on-year squeeze on staff pay. 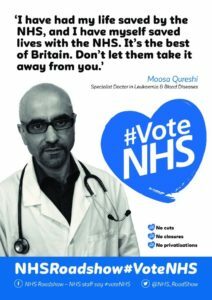 In defence of Our NHS, right across the country campaign groups, under the umbrella of HCT, have worked tirelessly with NHS staff and Unions and with People’s Assembly, to protect our services. Together, groups across England are celebrating the 69th birthday of the NHS as we fight together for: no cuts, no closures, fair pay for all NHS staff and a fully-funded, publicly owned and provided NHS with no privatisation of services. It’s OUR NHS and we will fight for it. KONP's Annual meeting and AGM came hot on the heels of a surprising election result. A full report of the meeting can soon be found on our website. Many thanks to our wonderful speakers Gurjinder Sandhu and John Lister as well as the many KONP members who helped set up in the morning. Thanks also to Unite the Union for providing us a space to hold the meeting. 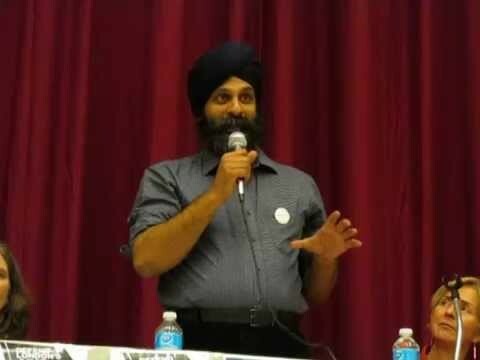 Gurjinder Sandhu's presentation on the true plight of A&E in North-West London was both engaging and motivating. Carefully demolishing all of the false logic surrounding the area's declared STP changes and portraying them for what they truly are - misery upon misery inflicted on ordinary people who were hurt, frightened and vulnerable - Dr Sandhu balanced his diligently crafted data, based on incontrovertible evidence, with undeniable tales of real people: people left to die on a trolley, alone, because no hospital bed could be found for them. People left languishing in hospital beds because there was no care for them at home and they would only be at risk of freezing to death, to the point of the flesh being rubbed from their bones, if they were discharged. People who had paid in to the NHS all of their lives, only to have it come close to collapse around them, a million miles from the self-satisfied rhetoric of the Conservative government and their talk of 'austerity'. This was the daily reality facing A&E staff not just in London, but throughout the NHS, and the legacy of increasing death rates for the first time in decades was now upon us. But he ended with an air of hope and iron determination. John Lister's analysis of the what happened in the election, and what the surprise result meant for the health campaigns and KONP in particular, was equally rousing and hopeful. Describing how 'purdah' had been manipulated and extended to cover any information released by any government department before the election - a form of censorship - and how the main parties aligned themselves on the NHS, John went on to conclude that 'uncertainty is good for us' and that the all the campaigns needed to press their advantage while the May government clung on to power by forging desperate agreements with the DUP. Motion 1 - on challenging the lack of public accountability over the NHS - was passed. Motion 2 - on supporting Health Campaigns Together - was passed. Motion 3 - on supporting international collaboration - was passed with an amendment broadening the international organisations who should be contacted and stating that this should be within available resources for KONP. 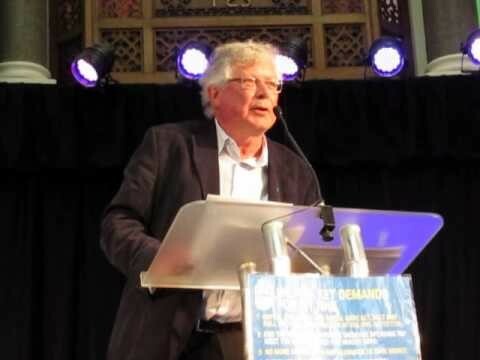 Following an amendment to Motion 4 - on support for Dr Chris Day the NHS whistleblower - KONP has circulated information about Chris Day's case and his appeal to KONP members. Motion 5 - on possible action at the BMA conference - was passed amended to read that any final decision on action be deferred to EC then SG, and to await the decisions taken at the BMA conference itself. On June 6th an announcement was sent out about the result of the election for the Executive Committee of KONP. In it we stated that there had been10 nominations for 4 officer posts and 6 non-officer posts, meaning that all posts had been filled without requiring a ballot. As we reported earlier, there were two nominations that were considered invalid as the individuals had not been members of KONP. However we subsequently discovered that one of the other candidates for the non-officer posts was under the misapprehension that he was an individual member of KONP. After thorough checking it was discovered that he was mistaken. This meant, regrettably, that he has had to stand down. We are therefore resending the announcement (see attached) to the effect that there are only 5 non-officer members, rather than 6 on the Executive Committee. We announced the correct (amended) result at the KONP Annual Meeting on Saturday 10th June. With many apologies for any confusion: Coral Jones, Gay Lee and Jan Savage - KONP Election Committee. The KONP Constitution states that members of the Executive Committee must be drawn from the membership of the Steering Group. In addition, someone cannot be a member of the Steering Group unless they are an individual member of KONP. Save South Tyneside Hospital at South Tyneside Summer Parade 1 - 4pm, South Shields Town Hall to Bents Park. Please get in touch here to offer assistance, or come along on the day. Meet at 7.45am at Miners Hall, Redhills (top of Flass Street) to march alongside Durham KONP to the Gala. Durham KONP are also hosting a stall at the Gala - please email info@konpdurham.org.uk if you are free to assist for an hour or so. Your assistance is appreciated. 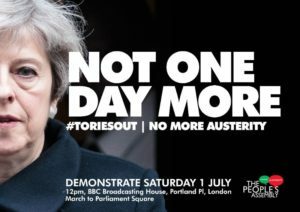 Manchester KONP will be one among other groups marching from BBC HQ to Parliament in London at The People's Assembly's Not One More Day #ToriesOut demonstration. Please email konpmcr@hotmail.com to see if there are any spaces left on the 6.30am coach from Manchester. Transport from other areas can be found here. 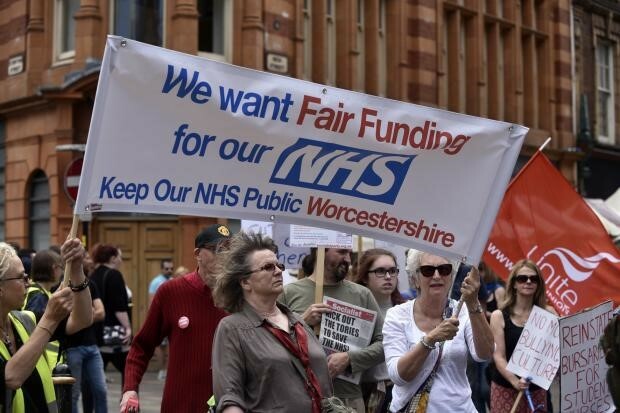 Well done to Keep Our NHS Public Worcestershire and all those who joined them on 24th June in order to campaign to defend the NHS against the Conservatives. A full write up can be found in the Worcester News. If you'd like to get in touch please head to Worcestershire KONP's Facebook page. Further blow to would be nurses as Government renege on promise to provide 10,000 new nursing degree places. A report in The Guardian on Tuesday claims that "Universities are warning that The Government is quietly renegading on its promise to provide 10,000 new nursing degree places, intended to relieve pressure on the NHS". The promise of these new degree places came after the scrapping of bursaries last year. According to the article we have now seen a 23% slump in applications to study nursing with some universities indicating that 50% of the applicants invited to interview never come, more often than not due to financial reasons. The Telegraph has reported on the BMA's motion, "overwhelmingly passed", that the Government is deliberately creating a health crisis in order to privatise the NHS. 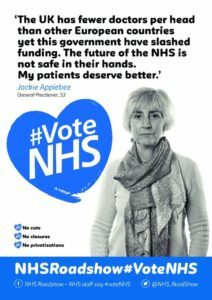 A stance that resonates with Keep Our NHS Public's view. Local groups continue to achieve good coverage since the election, and national outlets are starting to return to contacting KONP as regularly as they were prior to the election. National outlets contacting KONP in the past 2 weeks include the Independent, the Daily Mirror and the Morning Star. Quotes have appeared in the Daily Star and the Independent. Bri, the KONP national administrator will be on Annual Leave from 1st July until the 25th July. Campaigns and Media Officer Alan Taman and Coral Jones will be manning the office in her absence so please continue to email nationaladmin@keepournhspublic.com with any queries or questions.